There is no denying that Playerunknown’s Battlegrounds (2017) is an absolute smash-hit. Having sold over 25 million copies on Windows PC, and with over 4 million players on Xbox One, the game is an outright success. With this in mind, and because we enjoy it so much at Vamers, we thought we would giveaway a few copies of the game to you, our Vamerites. For those who may know, we have a YouTube channel. It is where we post video previews and reviews, on-location overviews and, for the most part, livestreams of us playing new games. Although we have had some issues with a few of our livestreams (damn you Joystick), we have consistently taken the time and effort to improve. We have even tried our best to maintain a steady streaming schedule: Tuesdays and Thursdays from 19:30 (7:30pm) South African Standard Time (SAST). Recently, we have been streaming quite a bit of PUBG – almost on a weekly basis (if this is something you would like more of, let us know and we will make it a regular stream). Despite some technical hurdles, we are finally in a good enough position to deliver a stable dual stream of two members of the #VCrewZA playing PUBG together, and at the same time. Pretty cool, right? To celebrate our channel’s added focus on streaming, we will be giving away five digital copies of PUBG for Xbox One. Check out all of the details below. 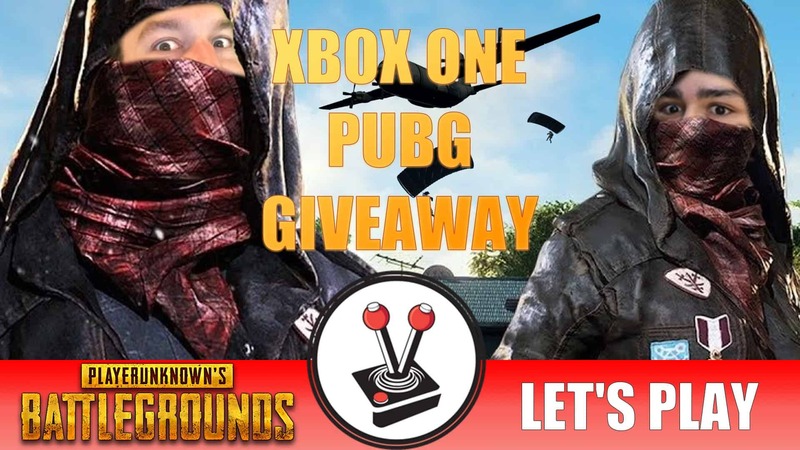 In order to stand a chance of winning a digital copy of PUBG for Xbox One, simply watch one of our PUBG livestreams and stay tuned for the “surprise question” (please feel free to also like and subscribe if you enjoy our content). We have five (possibly more) copies of the game to giveaway over the course of five random PUBG livestreams, beginning on 13 February 2018 and running until 13 April 2018. So be sure to stay subscribed to our YouTube – hit the little reminder bell on our channel to be notified of when we are live and when a new video has been uploaded. Step 1: Once you have the answer, return to this page and fill in the form below. Step 2: That’s it. Nice and easy. If you enjoy our streams, or if you have some constructive feedback, please feel free to let us know in the comments below. We always enjoy hearing from our community. The Win With Vamers Playerunknown’s Battlegrounds livestream competition closes at 17:00 on Friday the 13th of April 2018. The person who provides the best submission, as judged by the Vamers staff, and who follows the competition instructions properly will be declared the winner of this competition. The judges’ decision is final and no correspondence will be entered into. The winner will be announced at Vamers discretion after the competition closes. Vamers will endeavour to deliver the prize within 2-8 weeks as described, however, cannot accept responsibility if the prize differs from advertisement in presentation or value. This competition is global and open to everyone. Entrants under 18 years of age must seek permission from a parent or guardian before entering this competition. Entrants must be over 16 years of age or have parental consent to enter this competition. The main prize consists of: one (1) Playerunknown’s Battlegrounds digital game code for Xbox One for five unique winners. There is no cash or prize alternative and all prizes are non-transferable. Only one grand prize winner per competition unless otherwise specified. Entrants are free to enter as many of the other competitions as they would like, however only one entry per person will be accepted in each competition. Winners use and accept prizes at their own risk. Vamers and the prize sponsors, if any, cannot be held responsible for any injury, accident or loss of property as a result of accepting and/or using the prize. Winners who do not claim the respective prize winnings within 7-days of being declared a winner will forfeit the prize to Vamers. By entering this competition, entrants acknowledge that Vamers has the right to disclose any and all submitted information, whether personal in nature or not, for publication on radio, television, printed media, social media and other Internet publications. Entrance into this competition includes automatic subscription to the Vamers Store Newsletter. Vamers and the prize sponsors, if any, reserve the right to cancel the competition at any time and shall not be liable to entrants for any action whatsoever. Vamers reserves the right to alter competition rules or prizes at their own discretion. Alterations become effective immediately and entrants shall not have recourse against Vamers or the prize sponsors. This competition is not open to staff (or members of their immediate families) who may be associated with the Vamers website or prize sponsors.